182 pages | 10 B/W Illus. There are growing waves of ‘desirable’ migrants from Asia moving to New Zealand, a place experiencing increasing ethnic diversity, particularly in its largest metropolitan region Auckland. In purely demographic terms much of this diversity has been generated by policy shifts since the 1980s and the adoption of a comparatively liberal immigration policy based on personal merit without discrimination on the grounds of race, national or ethnic origin. Due to these changes, migrants from China, and Asia more broadly, have become increasingly significant in migration flows into New Zealand. 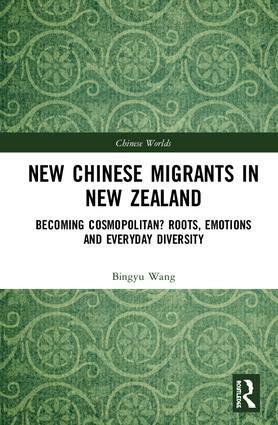 This in turn makes New Zealand a valuable case study for understanding how Chinese migrants integrate into and affect their host nation. Wang attempts to close a gap in contemporary research by relating cosmopolitanism to migration, particularly in the Asian context. With a cosmopolitan gaze towards migration studies, she makes four key contributions to the ongoing scholarly discussion. Firstly, this is the first comprehensive study to use cosmopolitanism as a framework to study the lives of contemporary Chinese migrants, with implications for migration studies as a whole. It sheds light on the relationship between cosmopolitanism and migrant mobility, taking a new approach to examine the living paradigms of international migrants. Secondly, this book identifies the emergence and development of cosmopolitanism outside the domain of Western middle-class groups. The concept of ‘rooted cosmopolitanism’ is utilised to break down the Eurocentric notion of cosmopolitanism, and to show the role played by Chinese rootedness during the process of becoming cosmopolitan and encountering diversity. Thirdly, the book advances and enriches the knowledge of studies in ‘everyday cosmopolitanism’, by focusing on ‘cosmopolitanism from below’, locating quotidian and ‘down-to-earth’ cosmopolitan engagements that are grounded in everyday migrant lives. Fourthly, it looks at the emotional dimension of migrants negotiating difference and engaging in cosmopolitanism, particularly the ways in which emotions undermine and promote the development of cosmopolitan sociability.